At a time when organisations are expected to deliver more with less, the ability to extract dormant talent and grow capability in teams is a major competitive advantage. 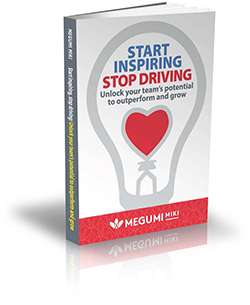 If you lead a team and feel the pressure to perform and deliver, you need to Start Inspiring, Stop Driving. Think of a time when you worked with someone who truly brought the best out in you. However they did it, you felt compelled to perform at your absolute best; to stretch beyond that of which you thought you were capable; to learn from your mistakes; and to achieve things you never thought possible. How many of those people have you worked with? How many people would count you as one of those people who inspired them to be their best? Imagine if more people felt inspired to contribute their best talents: what could you achieve as a team or organisation?